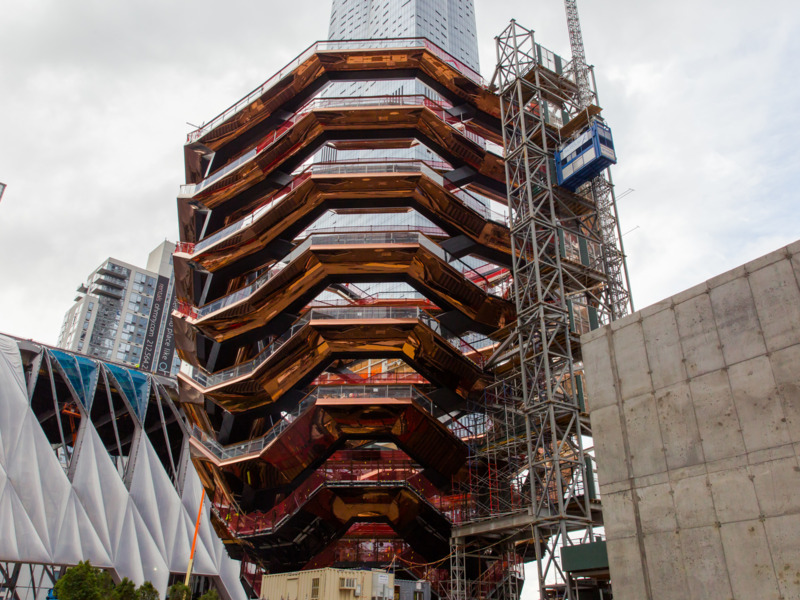 Business Insider/Jessica TylerHudson Yards in Manhattan. “My prediction is that sales snap back when sellers get more realistic about pricing,” said the author of the report, Jonathan Miller, the CEO of the real-estate appraiser Miller Samuel. Until recently, it was mostly buyers in Manhattan’s luxury housing market who were spoiled for choice. The aggressive price cuts and vacancies in the priciest apartments that cost over $US1 million have been well documented, including at 432 Park Ave., the slim, squarish tower that’s the world’s tallest residential building. The availability of housing by apartment size helps to tell the story of buyers’ reluctance (or inability) to settle for prevailing prices. Inventories rose by about 15% for studios, then jumped to 21% year-on-year for one-bedroom apartments. But that rate slowed to 8% for two-bedrooms and 5% for four-beds, Miller said. Part of the softness is due to home sellers not budging during price negotiations. According to Miller, they’re still attached to a market that existed before the new tax law came into effect. Its impact will be more understood during tax season next April, Miller said. Meanwhile, many homeowners don’t want to sell and feel as if they left money on the table. Also, rising interest rates don’t give them much incentive to move, because chances are they locked in at a lower rate. “My prediction is that sales snap back when sellers get more realistic about pricing,” Miller said. New York is just one of several large US cities where buyers are getting more deal-savvy because prices have soared. Nationally, home prices have climbed above their pre-crisis level and at a faster rate than wages. That’s hurting would-be buyers; monthly existing-home sales have failed to cross the 5.72 million level reached in November. “Existing-home sales have peaked,” US economists at Bank of America Merrill Lynch said in a note last week, adding that affordability largely explained the slowdown. What this means is that buyers who are more patient in their hunt might just find a homeowner who will budge. According to StreetEasy, the number of home sellers who cut their asking prices reached its highest level since 2009 during the week after Labour Day.